Vasilios Galanis has over three years of experience in the energy sector working in the government administration industry, and energy regulation. He worked on-site in the Office of Fossil Energy at the U.S. Department of Energy (DOE), where he analyzed a vast amount of U.S. natural gas import and export data and assembled a series of LNG monthly and quarterly Reports. Vasilios has also worked as an analyst in the Oil and Gas division of Greece’s Regulatory Authority for Energy (RAE), which is the independent regulatory agency charged with the regulatory oversight. He has experience in ratemaking and utility regulation and tariff design. He has participated in training programs on gas tariffs for Transmission and Distribution in the CEER (Council of European Energy Regulators) headquarters in Brussels. As an analyst at RAE, he helped review and analyze regulatory issues to ensure compliance with the European Commission’s regulatory principles and policies. 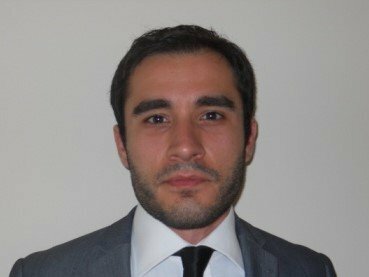 Vasilios graduated with a MS in Energy, Trade and Finance from Cass Business School, City University of London (UK), with a specialization in oil, gas and risk management, focusing on the LNG sector. He also holds a BS in business administration with a double major in finance and accounting from the Albany School of Business in New York.